Rooftop gardens in cities could provide more than three quarters of the vegetables consumed in them, a case study from Bologna, Italy, suggests. 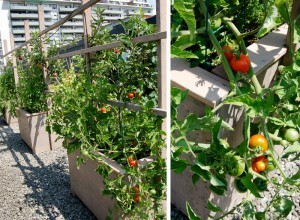 If all suitable flat roof space was used for urban agriculture, rooftop gardens in the city could supply around 12 500 tons of vegetables a year whilst also providing a range of ecosystem services, the researchers say. Any unused roof space in a city represents an opportunity to add to that city’s green infrastructure. 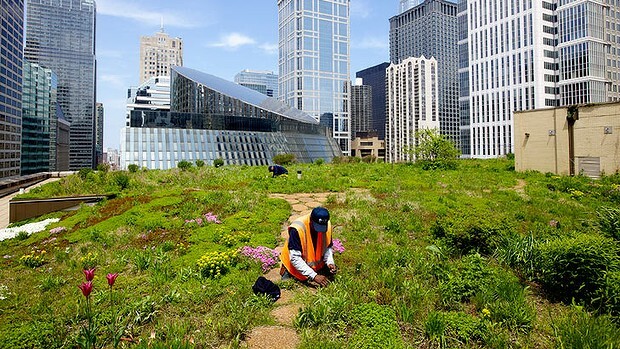 Urban green spaces and infrastructure, which include rooftop gardens, offer benefits for both wildlife and people. Not only can they produce food for city-dwellers, they can increase urban biodiversity and link together to form green networks, acting as corridors for wildlife. They can also reduce a city’s ecological footprint by filtering polluted air, absorbing noise and CO2 emissions, and controlling temperature by shading. They can also reduce a city’s ecological footprint by filtering polluted air, absorbing noise and CO2 emissions, and controlling temperature by shading. In 2010, Bologna became the first Italian city to test rooftop vegetable gardens on public buildings, as part of a project led by the local authority, university and a non-profit organisation. Researchers followed the trial over three years between 2012 and 2014. During this time, rooftop gardeners grew lettuce, black cabbage, chicory, tomato, aubergine, chili pepper, melon and watermelon, either in plastic pipes, recycled pallets filled with compost or on polystyrene panels floating in tanks, also made from recycled pallets. On average, the recycled pallet system with compost produced the most vegetables for the amount of space used, a third more than the floating system and more than twice that of the pipe system. However, the amount of each type of vegetable produced by each system in each season varied considerably and the pipe system made use of hanging space when surface area was limited. From the results of the trials, the researchers were able to design an optimal growing system for a 216 m2 rooftop garden, which combined elements of each system in order to maximise productivity throughout the year. This included slightly more floating structures than pallets, as well as pipe systems along the railings. The researchers estimate that this hypothetical garden could produce more than three tonnes of vegetables per year. Next, the researchers estimated the potential productivity of a network of vegetable gardens occupying all suitable flat roof space across the city. They used digital maps and computeraided design (CAD) software to identify all the unused flat spaces on Bologna’s roofs and terraces. Their calculations suggest that, if all available space (about 0.82 km2 ) was utilised, rooftop gardens in Bologna could produce around 12,500 tonnes of vegetables. This means that, based on actual consumption data for the city, rooftop gardens could meet 77% of residents’ needs for vegetables. 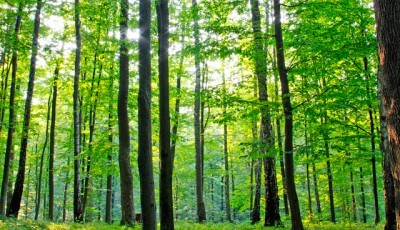 If all the spaces identified in the study were turned into gardens, they could capture an estimated 624 tons of CO2 each year. The study’s authors also mapped the connections between spaces that were within 500 m of each other showing that rooftop gardens could create a network with a total length of 94 km of green corridors for wildlife, including pollinating insects. The 500 m distance was considered appropriate by the researchers because most common bee pollinators have a flight foraging distance of 750–1500 m.
Source: Orsini, F., Gasperi, D., Marchetti, L., et al. (2014). Exploring the production capacity of rooftop gardens (RTGs) in urban agriculture: the potential impact on food and nutrition security, biodiversity and other ecosystem services in the city of Bologna. Food Security 6(6): 781-792. DOI: 10.100 : This article appears in “Science for Environment Policy”: European Commission DG Environment News Alert Service, edited by SCU, The University of the West of England, Bristol.